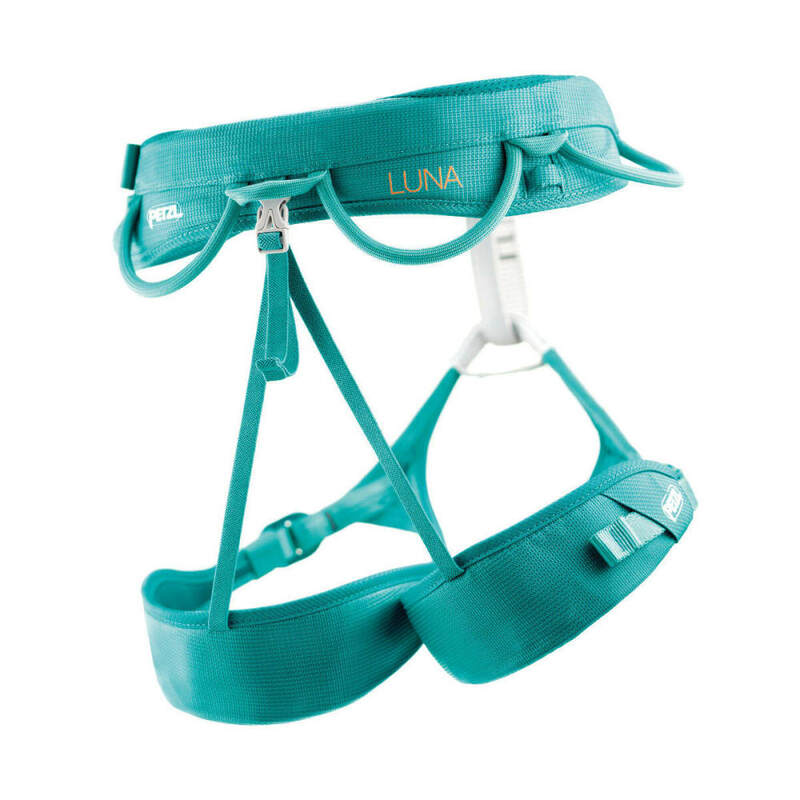 The Petzl Women's Luna Climbing Harness excels at everything to running laps at your local crag to climbing ice. A true all-arounder, it features adjustable waist and leg loops with DoubleBack Light buckles, and an incredibly comfortable design. Leg Loop Size: XS: 18.1-22 in. ; S: 20.0-24.0 in. ; M: 21.2-25.2 in. ; L: 22.0-26.0 in. Fits Waist: XS: 25.6-28.0 in. ; S: 28.0-30.3 in. ; M: 30.3-33.0 in. ; L: 33.0-36.2 in. Weight: XS: 12.7 oz. ; S: 13.8 oz. ; M: 14.8 oz. ; L: 15.9 oz.